I provide a no-obligation meeting in order for us to get to know each other and see if my experience is a match with your needs. Giving birth is an intimate event and I encourage you to interview more than one doula and take plenty of time to consider who you feel most comfortable with. When you hire me for my services, we will meet once before your birth to review your birth plans. I am available by phone from the time you contract my doula services, and you may call me for any reason. I will arrive at whatever point in labor you wish and will stay with you throughout your labor until you and your new family are comfortable and wish for private time. 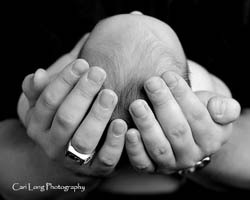 After your birth, I will call you within a few days to set up a postpartum meeting. At this meeting, we can discuss the birth and how you are doing with your new baby. My fee for birth doula services is $900. Please contact me to discuss my fee in detail. I serve the entire Triangle area. My services include backup doula coverage by six other local doulas. We host several “Meet the Doulas” event each month so that you have the opportunity to talk with all of us. Visit the Triangle Doula Collective website for the meeting schedule. Visit the Triangle Doula Collective website for more information on our backup system. References available upon request. Currently accepting clients for March, April, July 2017 and beyond. Contact me for availability in other months. I currently attend about one birth per month so contact me early to secure a date on my calendar. Why do I need a doula if I have my partner or husband with me at the birth? A doula does not take the place of your partner or husband. In fact, a doula enhances that role by making sure that the partner is taken care of and encouraged, too. A doula can help make the birth experience positive for mothers and partners and make them both feel good about themselves. What if I plan on getting an epidural? Doulas are not only for people planning an unmedicated birth. They are for everyone. I have served clients who planned on getting epidurals, who weren't sure, and who were planning not to. My goal is to help you achieve your goals for your birth experience, which may or may not include pain medication. Sometimes people want to delay an epidural until later in labor so they know they will need physical support before they accept pain medication. Sometimes epidurals don't work completely and a women wants to make sure she has support with any discomfort she might be having even with pain medication. Does insurance cover the services of a doula? I have a national provider identification number (NPI) but there is no procedure code for doula services. Clients can check with their insurance companies in regards to doula services but they are usually not covered. I've had several clients use money from their Flexible Spending Accounts for doula services with no issue. Why not use a family member or friend as a doula? A friend or family member can certainly act as your doula since they know you well. However, some people are not completely comfortable with those people being present. Or some people want a more objective person present since births are so emotional for you, your partner, and your family and friends. Also, birth doulas have extensive training in the birth process and are familiar with local birth facilities.